Cover of the souvenir program sold in theatres running the 70mm optical conversion of CinemaScope 55. Below is the page describing Grandeur 70. It's interesting to note that Technicolor made the 70mm prints of the film rather than Fox's own DeLuxe lab. 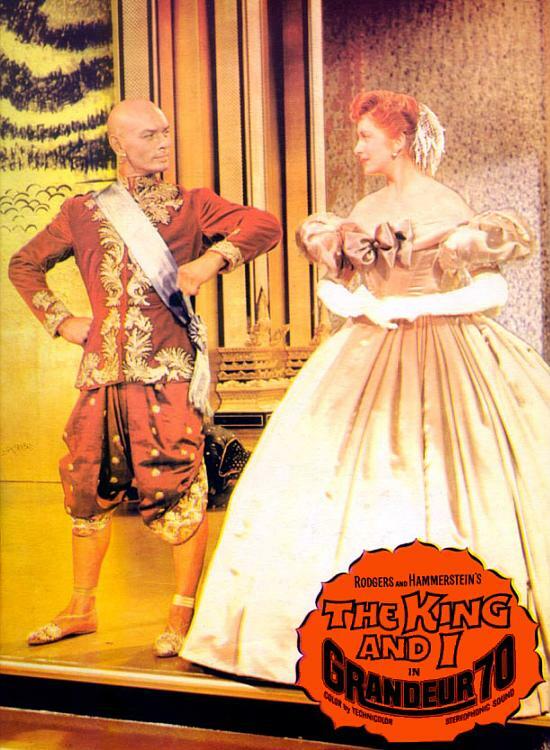 During the threatrical life of The King and I, Technicolor produced a good many uncredited prints of the film in 35mm, 70mm, and 16mm. It's big and it's ugly and it took a gorgeous picture. 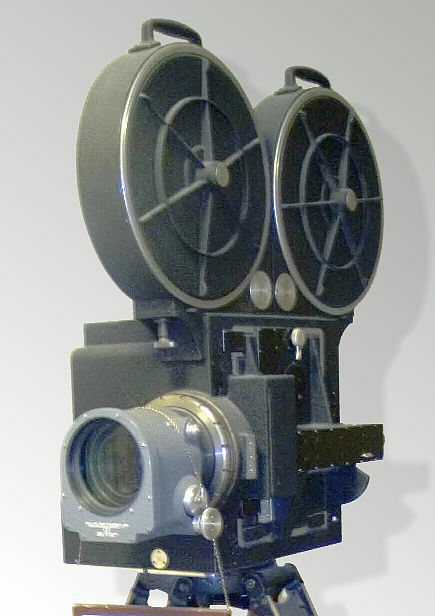 The CinemaScope 55 camera started life as a Mitchell built 70mm Grandeur camera in 1929. It was far too noisy for dialog shooting, as were all cameras in 1929, and a gigantic Technicolor type blimp was built to house it when in use in the studio. 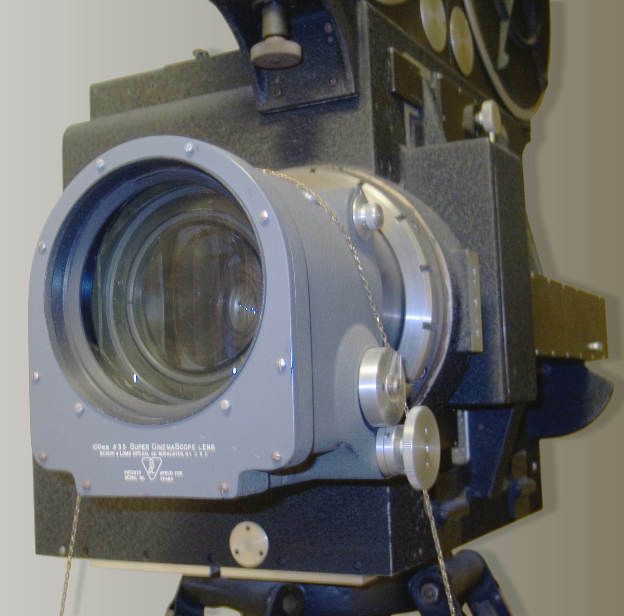 The 100mm "Super CinemaScope Lens" took in the same field of view as a 50mm CinemaScope lens in 35mm. This camera resides in the A.S.C. Museum in Los Angeles, California.Photos courtesy of Roy H. Wagner, A.S.C. It is difficult to appreciate just how large this old camera is. It obviously dwarfs the lens mounted on the front. 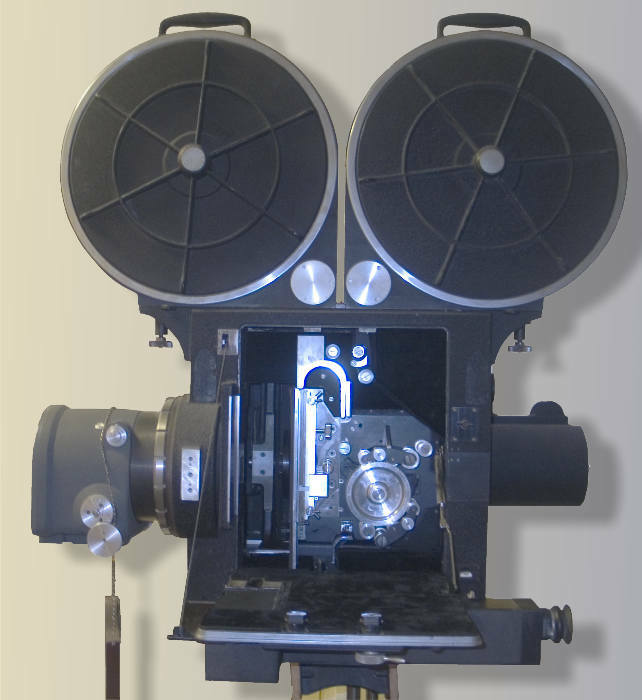 You are invited to visit The American WideScreen Museum in suburban Houston, Texas and try to lift some of those lenses. Knock, Knock. "Who's there?" "Emerson" "Emerson, who?" "Emerson damned big lenses you got there." Astonishingly clever piece of levity provided by The Curator.